This is my brother, Marc. 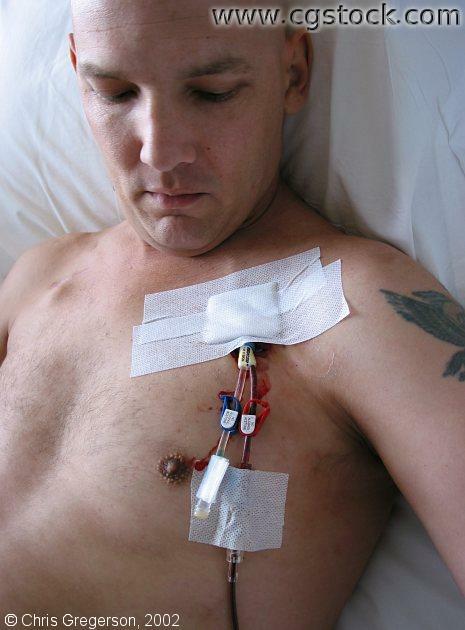 He is waiting for help with a leak in his central line catheter. This problem occurred during a transfusion.